With an in-house team of 70+ skilled MEP engineers, Advenser has been offering our clients reliable and quality MEP shop drawing services for the past decade at competitive prices. The shop drawings we develop are made with a primary focus on improving the overall quality and output efficiency of a building. The team of MEP engineers with us have profound working knowledge of machine shop processes making them capable of developing MEP shop drawings that can be used to find the discrepancies before field installations. 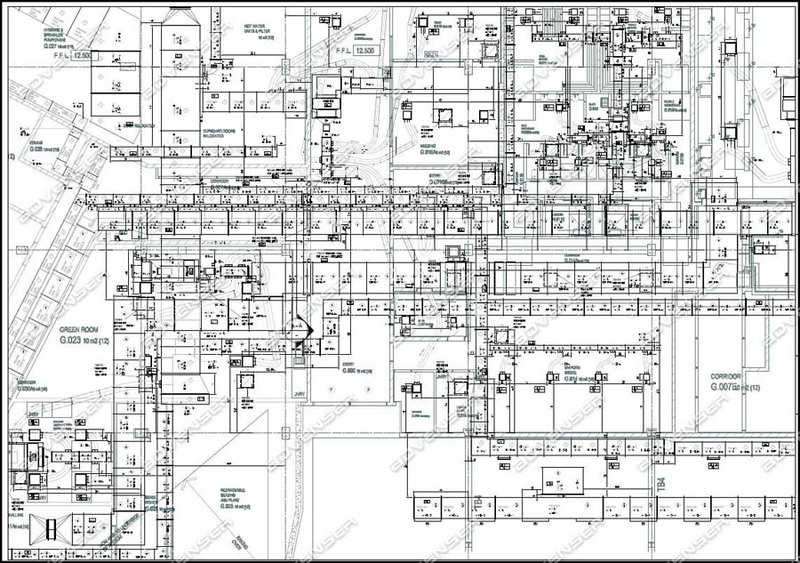 We offer well-organized MEP shop drawing services that are in coordination such that the errors are identified and resolved before the filed installation begins. Here at Advenser, we realize the fact that shop drawings are the backbone of the fabrication industry and that it is a vital part in determining the profitability of a project. The team of quality analysts at Advenser follows a proven methodology for the quality inspection of the MEP drawings, which includes following a Project Quality Plan (PQP), Inspection test plan (ITP) and Key performance indicator (KPI). We put every design through a rigorous quality inspection at each stage, to ensure that the client requirements are met with the highest standards without compromising on the quality.